On March 08, 2018, Rapyder Cloud Solutions Pvt. Ltd. achieved another milestone by receiving the ISO/IEC 27001:2013 certification for establishing an Information Security Management System (ISMS). 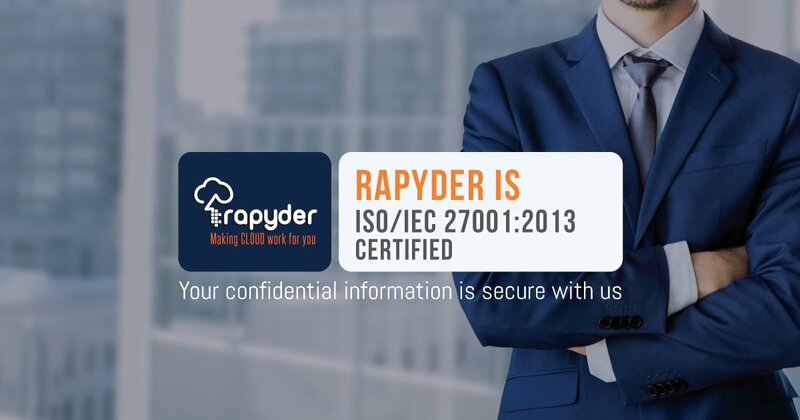 At Rapyder, we adhere to the highest standards of information security, client confidentiality, and trust. We have received this certification because we acknowledge the fact that your manuscript is your most important asset and always treat it with the greatest integrity. That explains why leading Financial Services companies, Financial Technology companies, and E-Commerce startups trust Rapyder with their mission-critical Apps.